Marc Vetri’s single-minded dedication to the Italian dining experience is beautifully translated at this intimate restaurant in his native Philadelphia. 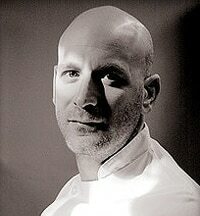 His singular style comes via a foundation of experience gained cooking in Italy, California and New York. A thoughtful wine program, gracious service, and touches like the finest prosciutto treated to a run through a vintage Berkel meat slicer inhabiting the dining room only boost an already sublime experience.